Planning a special meal at home? 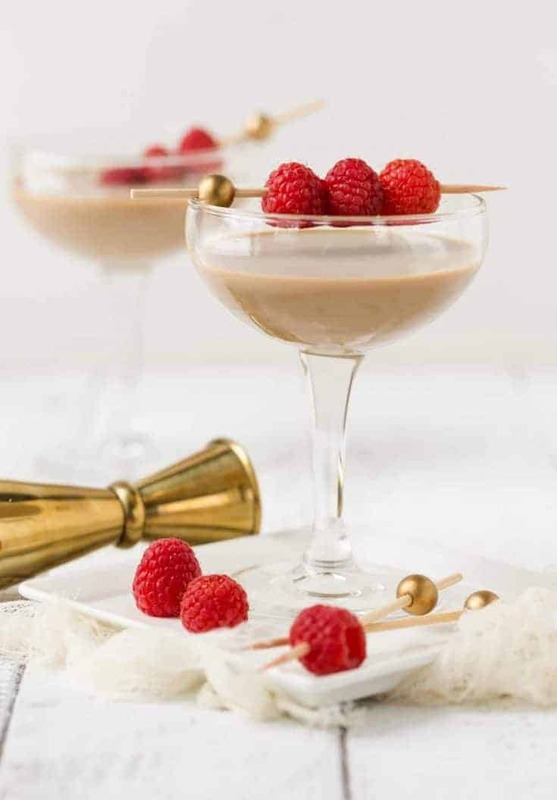 Don’t fret about dessert and serve the sweet finish in a glass instead with this easy Chocolate Raspberry Martini. After dinner drinks are the perfect way to end a meal. But I don’t always have room for dessert and a cocktail. With this Chocolate Raspberry Martini, I get the best of both worlds. Chocolate and raspberry is always a winning combination, but I didn’t stop there. I added a little something extra and used Kerrygold Irish Cream Liqueur, too. It takes this ordinary cocktail and turns it into a little something special that is a great dessert sipper. Now don’t be scared by the fact that this martini is pretty much straight alcohol. The rich, creamy chocolate flavor of the Irish Cream Liqueur makes it extremely smooth. 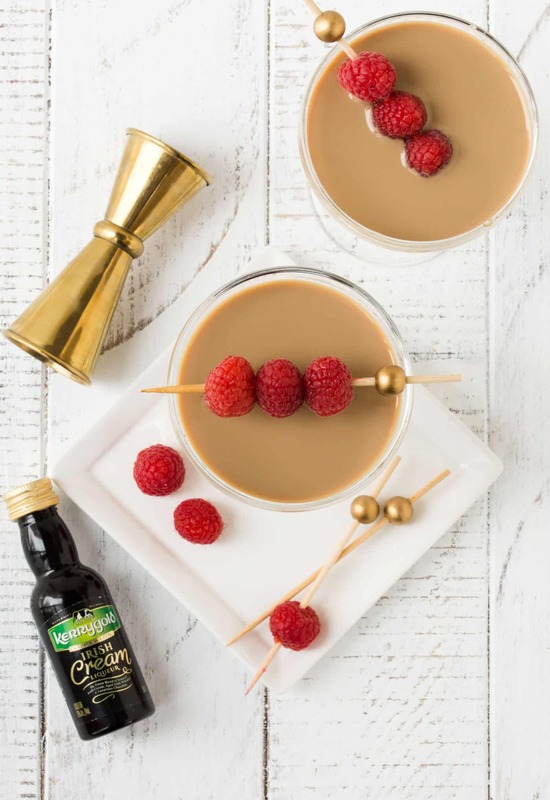 Things don’t have to be complicated to be delicious and this 3-ingredient Chocolate Raspberry Martini is the perfect example. I love complexity the Irish Cream adds to this martini, and the créme de cocoa also enhances the chocolate flavor without being overly sweet. The raspberry vodka? 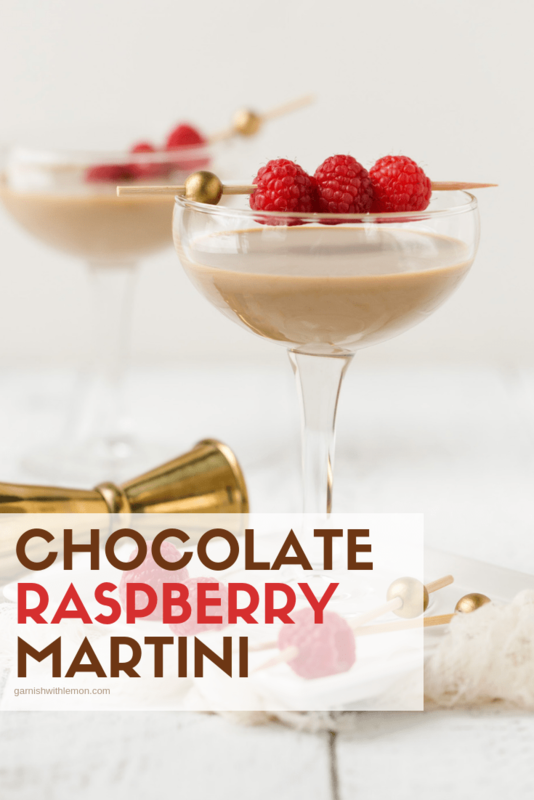 Well, that is just the neat little bow that ties all of the flavors together in this Chocolate Raspberry Martini. Add a skewer of fresh raspberries for a garnish and you have dessert done in all of 5 minutes. After all, what says love like chocolate? Dessert in a glass is always a win! Chocolate Covered Cherry Martini – Shake.Drink.Repeat. Fill a shaker with ice. Add Irish Cream, vodka and créme de cocoa and shake vigorously to combine. Strain into a martini glass. Thread fresh raspberries on a small skewer, place in glass and serve.